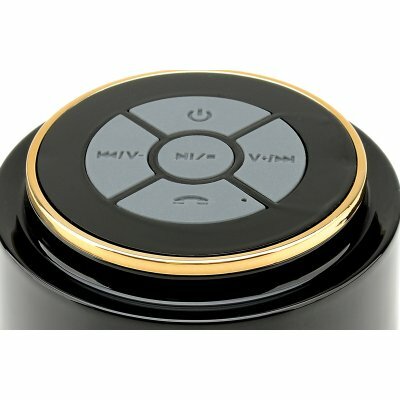 This Bluetooth Speaker with Music Control, Call Answering, Mic, and Suction Cup has an IP67 Waterproof Rating so its great for the bathroom, pool parties, BBQ's, in your car or chilling on your yacht. 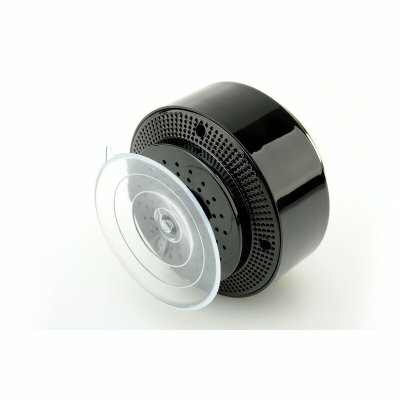 IP67 Waterproof Speaker For Use Anywhere This Bluetooth IP67 waterproof speaker lets you enjoy music just about anywhere, whether it will be on a boat, by the pool or even in the shower as it has a solid IP67 waterproof rating. Perhaps you like setting the perfect mood of tranquility for a nice relaxing bath, or you could be keen to flex your vocal cords while taking a shower, whichever the case you’re in luck. This Bluetooth speaker can easily be paired with your phone, which can be up to 10 meters away so you can rock out in the bathroom and even answer calls directly from the speaker itself. 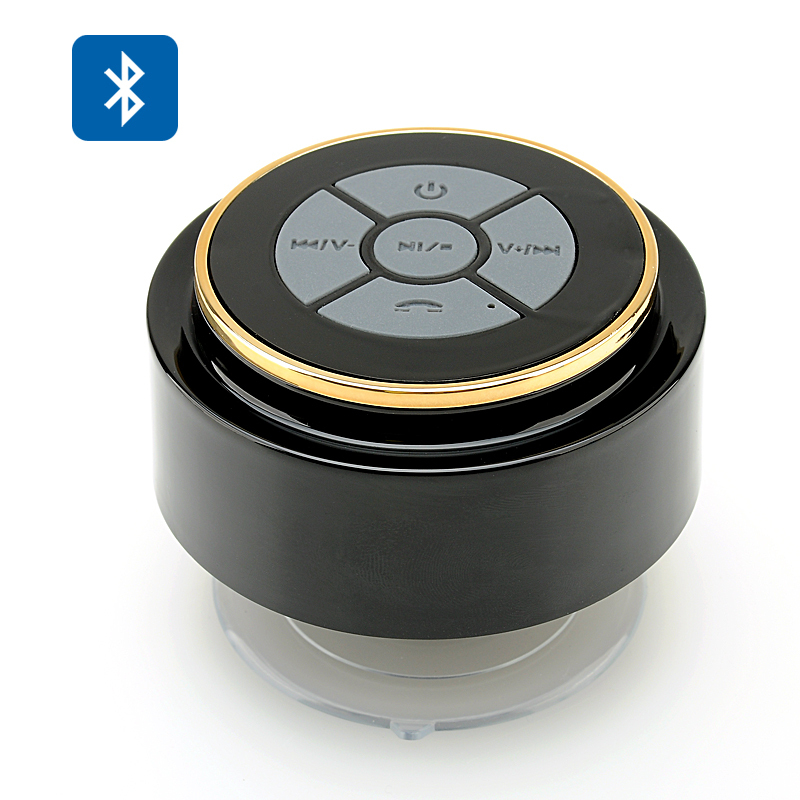 The 5 button interface makes it easy to skip tracks, adjust the volume, take calls and pause the party at a simple touch, so no matter where you are this Bluetooth speaker is designed to bring the music to you. 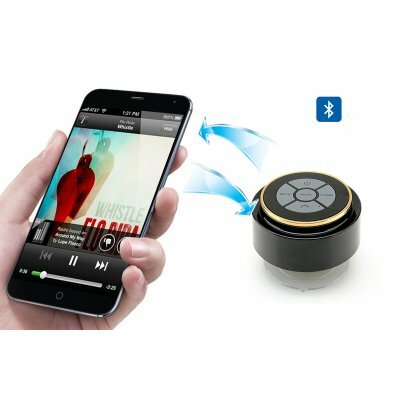 Light And Portable The speaker is equipped with a suction cup so it can be mounted on most flat surfaces, such as the tiles on your bathroom wall. It also extremely portable at a little over 120 grams and being so compact you can take it with you just about anywhere, making it a superb companion for pool parties, BBQ’s, a trip to the beach or just chilling at home. With an 800mAh battery you can get up to 8 hours of musical entertainment from this speaker that's bound to bring you lots of fun. At a Glance... Bluetooth 3.0+EDR IP67 Water Resistance Call Answering Operating Range: Up to 10 Meters 600mAh Lithium Battery .